Hoagie orders and money due! Last day for Scouting for books! Tonight we are going to “Talk Tech”and work on some of the electives in 21. 21B- Explain what a computer program does and write a letter and 21C- Tell what a computer mouse is and describe what a cd-rom is. In addition, we will identify parts of the computer. 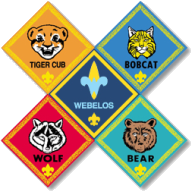 We can also forward the letter they type to you home and you can assist your Scout in printing out the document to then complete the agenda for the Computer Beltloop for those that did not already earn one. Home assignment- Get those cars ready, the Pinewood Derby is coming! Can you feel the excitement building??? Reminders- Meeting Sat Mar 2 at St Pauls to leave by 1215p or meeting on site for the Trout re-stock. Please refer to last week’s letter or email sent on Wednesday from Shawn.